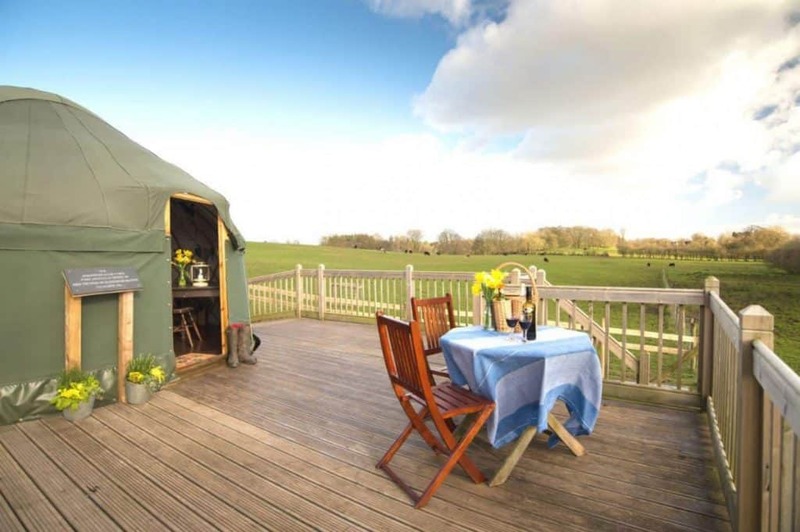 Spend a magical glamping holiday in our Shropshire-made Mongolian yurts. 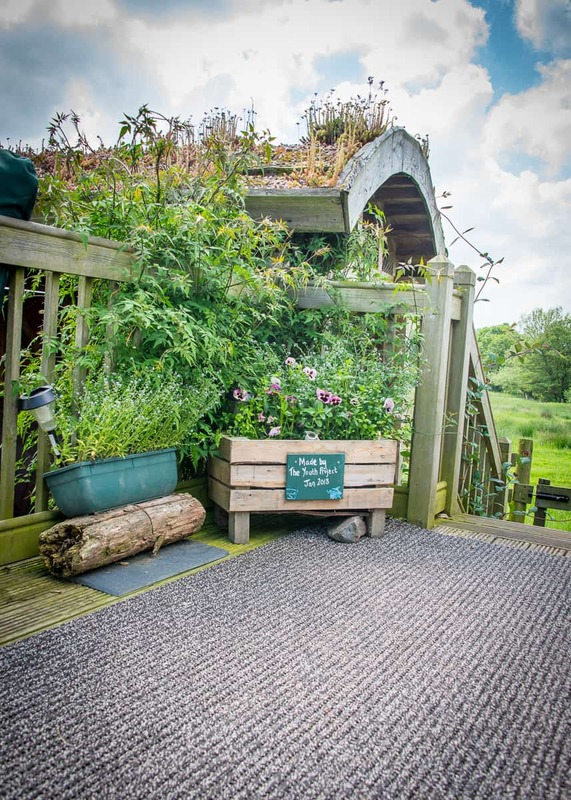 Perfect for a romantic weekend break or a fun family holiday for up to 6 people. 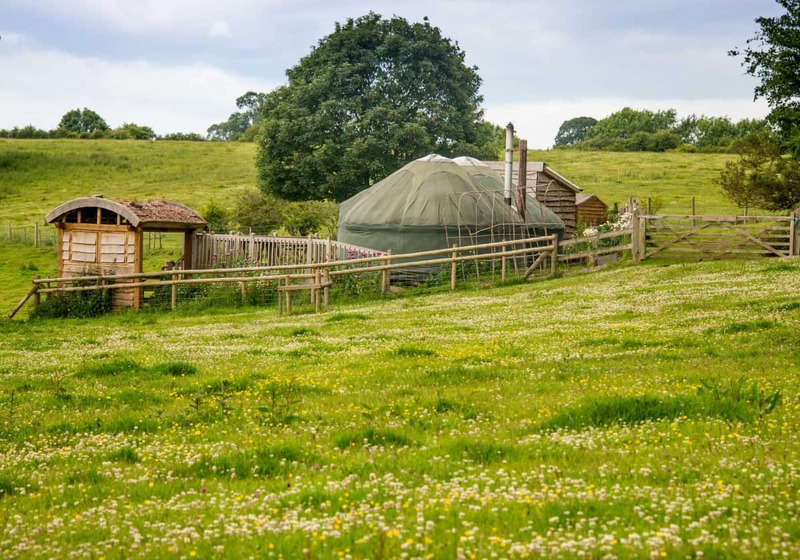 Nestled in their own private slice of our organic farm, our yurts bring you closer to the beautiful Shropshire countryside. 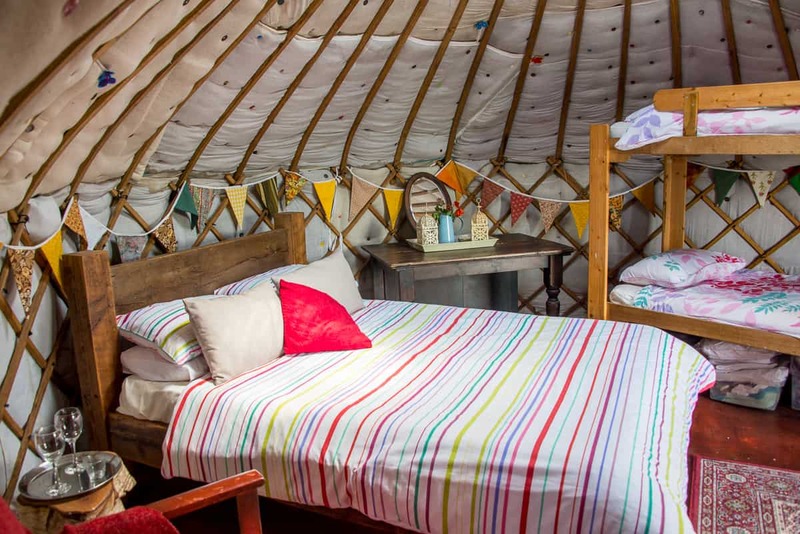 The unique design of our two interconnected yurts provides shelter from the elements with a relaxing, cosy atmosphere. 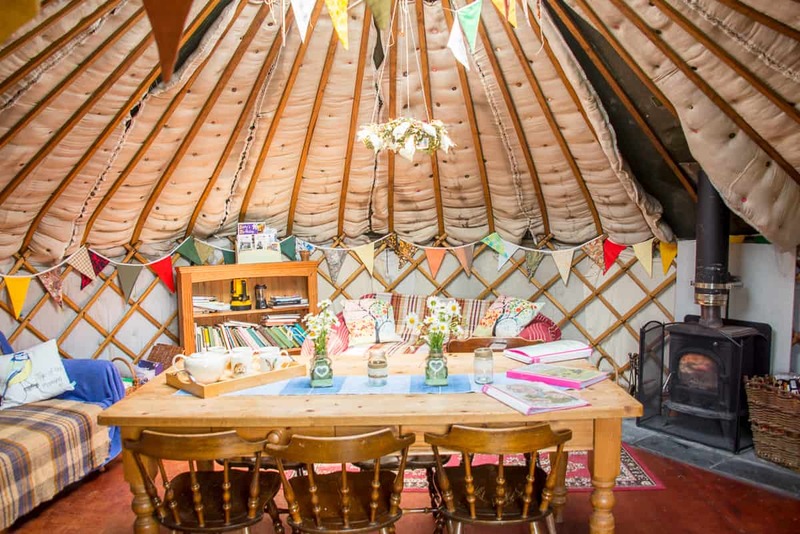 Our yurts are fully equipped for the best glamping experience. 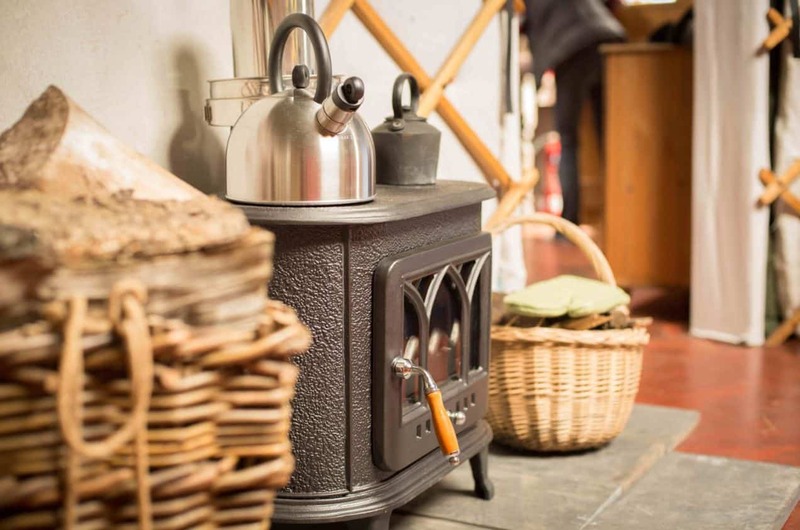 Amenities include a log burner, beds, shower, compost toilet, BBQ, etc. There’s even a kitchen sink! At the right time of year there is also an edible garden including marigolds, mint, gooseberries and damson trees. Meaning you won’t have to go far for that quick snack. 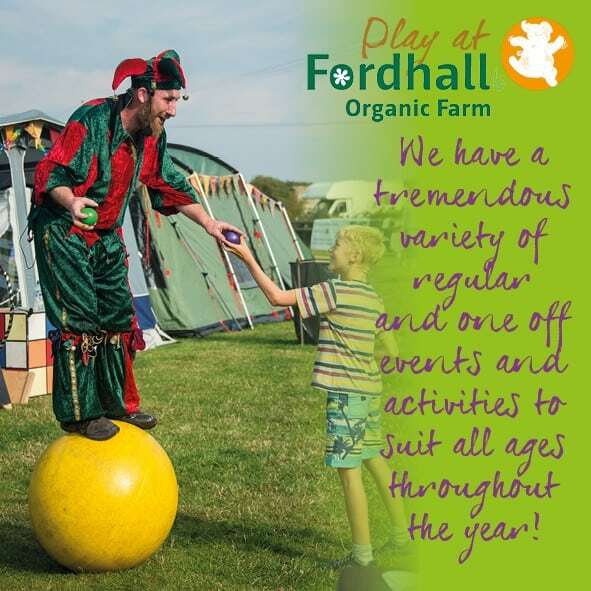 You will be left to your own devices during your stay, but you will be more than welcome to visit our nearby organic farm. 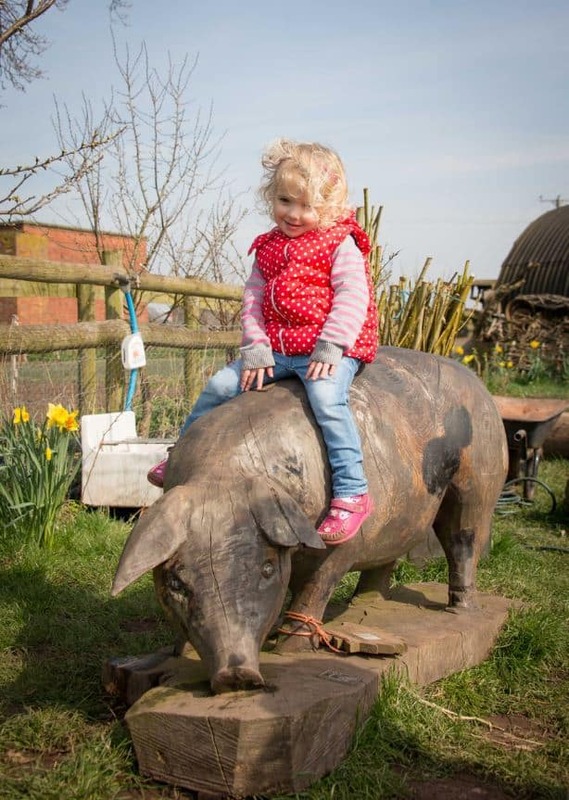 We regularly host events (check our calendar here) and there’s always friendly animals, delicious food and a helpful smile close by. 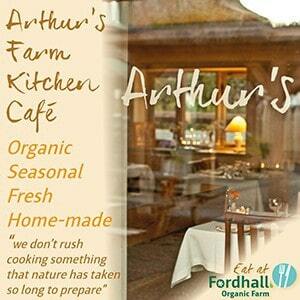 Our organic farm shop is a short walk away, where you can purchase delicious local produce to prepare in the yurts. We can provide you with a hamper of your favourite goodies to make your stay stress and decision free. 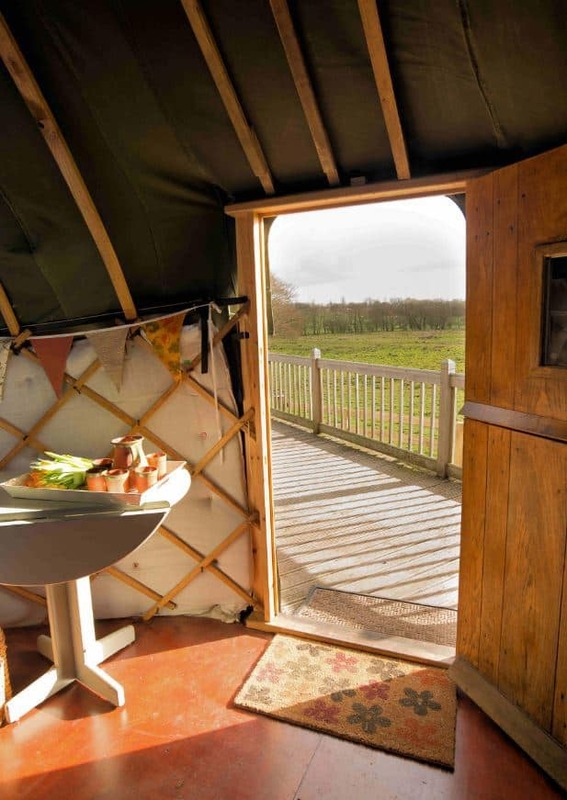 Our yurts are designed to help you reconnect with nature, your loved ones and yourself. For this reason we have no Wi-Fi facilities at the yurts. While there are electricity sockets available for use at the farm, they are few and far between. Although you’re unlikely to need them, with the Shropshire Hills as your playground. 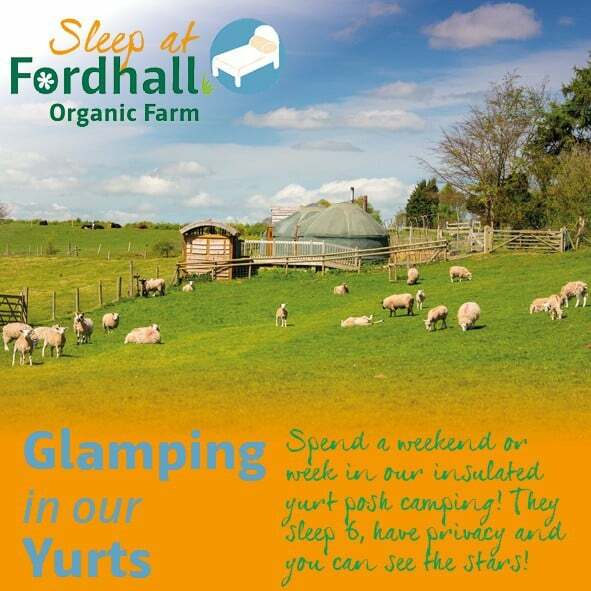 To find out more about our yurts and what’s included in your stay, please download our yurt information for glampers. 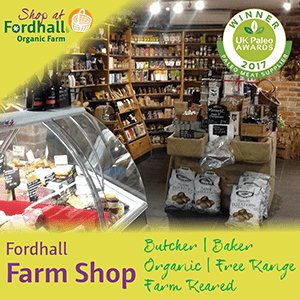 If you require any more information please call us on 01630 638696 or email us at project@fordhallfarm.com.